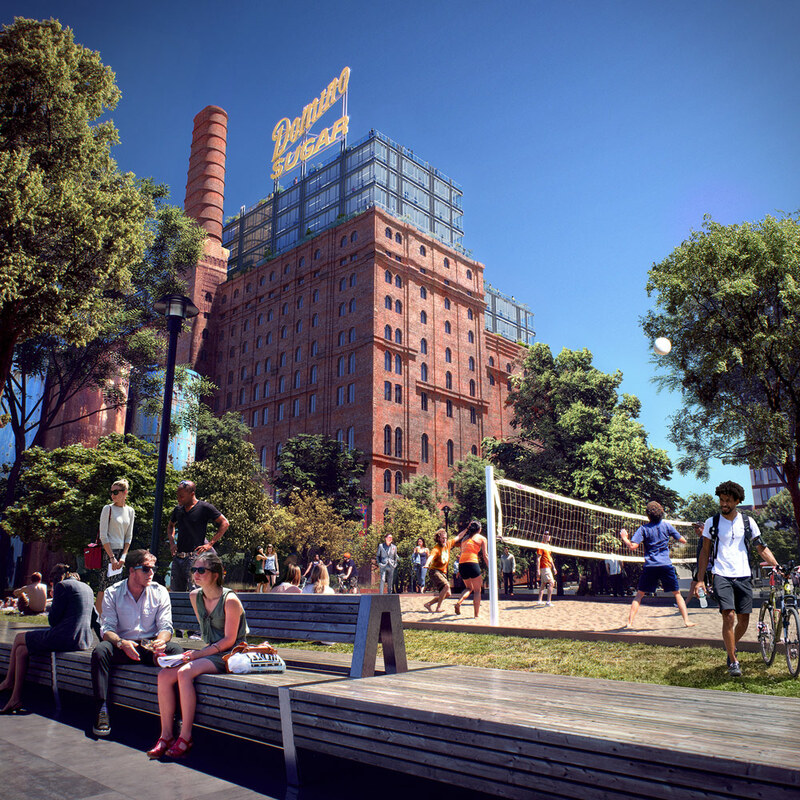 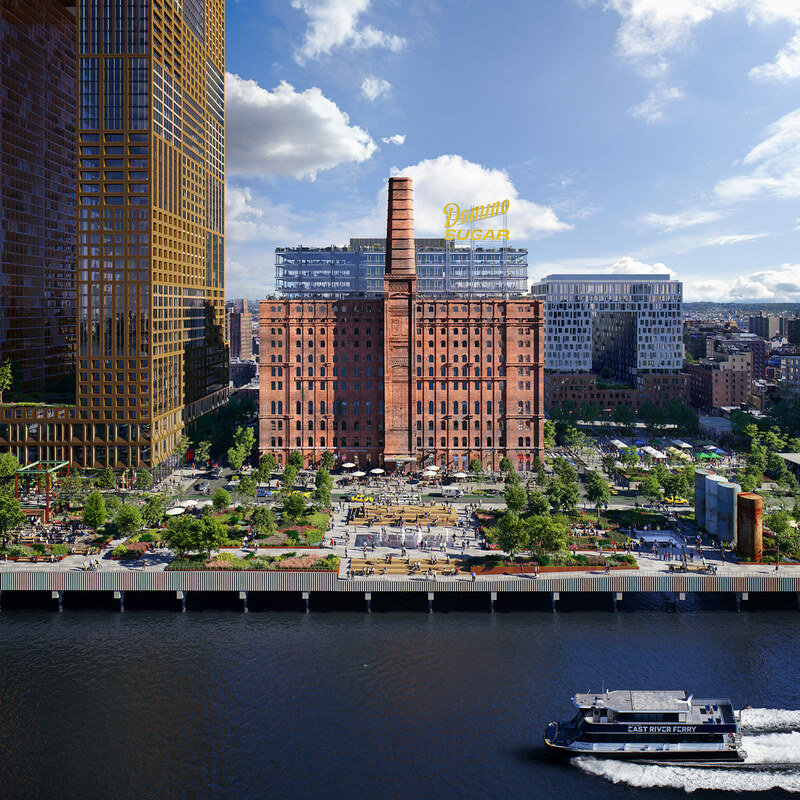 Industrial artifacts salvaged from the Domino Sugar Factory site will feature prominently in JCFO's design for the public waterfront. 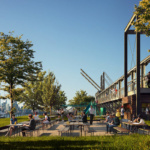 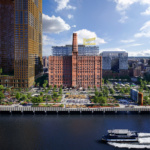 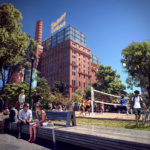 Today, real estate development firm Two Trees Management released new images of the James Corner Field Operations (JCFO)–designed Domino Park, which will line the waterfront of the 11-acre Domino Sugar redevelopment site in Williamsburg, Brooklyn. 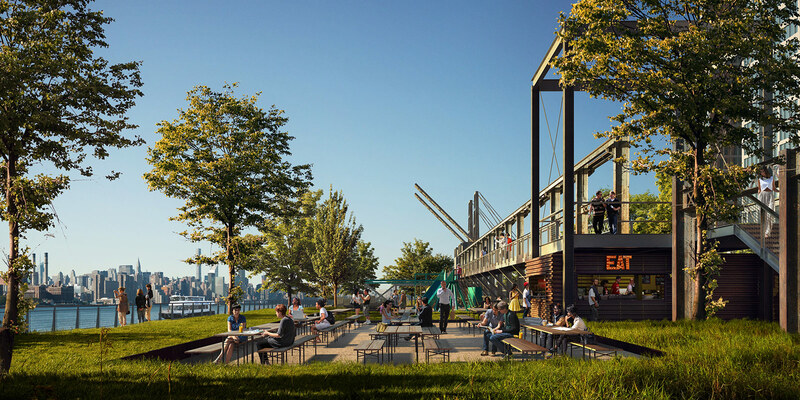 In its press release, Two Trees confirmed that the park is on track to open in the summer of 2018, as per its original estimates. 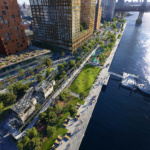 JCFO is extending River Street to run the length of the park, all the way from Grand Street to S. 5th Street at the base of the Williamsburg bridge. 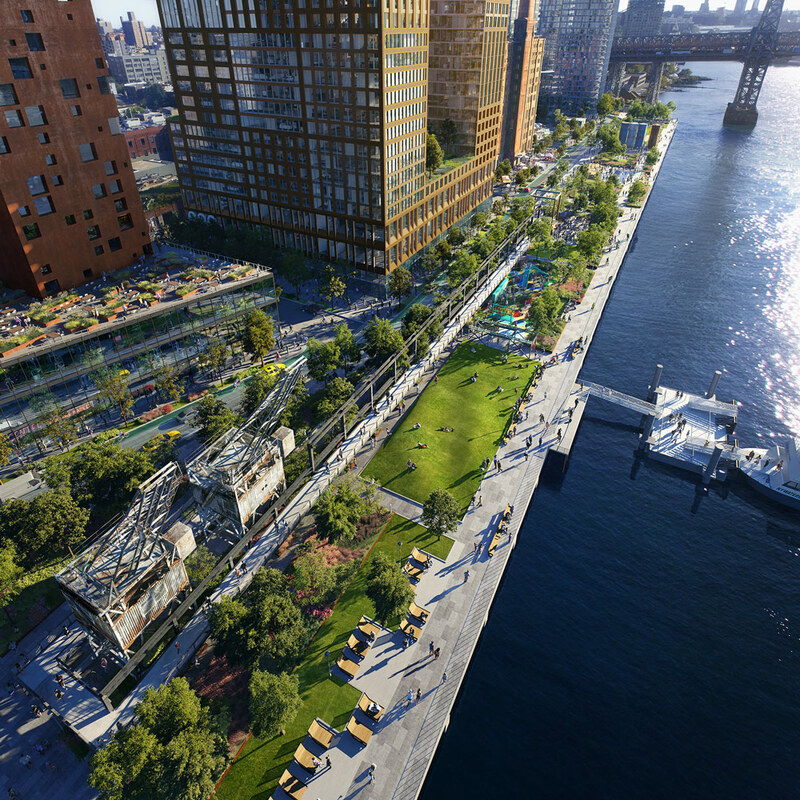 The aforementioned artifacts (including two 80-foot-tall cranes) will feature prominently in the aptly-named “Artifact Walk,” a five-block stretch that includes a “450-foot-long elevated walkway” inspired by the catwalks of the old sugar factory.